Okay, so "best" is just my opinion, but I absolutely love this Brussels sprout recipe by Myra Kornfeld. And even my father and other Brussels sprouts cynics have taken to this recipe so I think it's fairly universally popular. And on top of that: it's pretty easy! YAY! Trim the stems and chop the Brussels Sprouts in half. In a skillet, place the Brussels sprouts, butter/ghee, salt and just enough water to barely coat the bottom of skillet. Put a lid on and turn the heat to medium. Allow the Brussels sprouts to "steam" for 5-10 minutes or until MOSTLY cooked. Then remove the lid, add the maple syrup and Dijon mustard and sauté for another 5-10 minutes until all of the water has evaporated and the Brussels sprouts are fully cooked through. Top with pepper and serve! All you do is chop up cabbage, brush it with coconut oil and top with sea salt and pepper. Voilà! A simple vegetable side dish. As a plus, for those on a budget, cabbage happens to be one of the most affordable vegetables available. 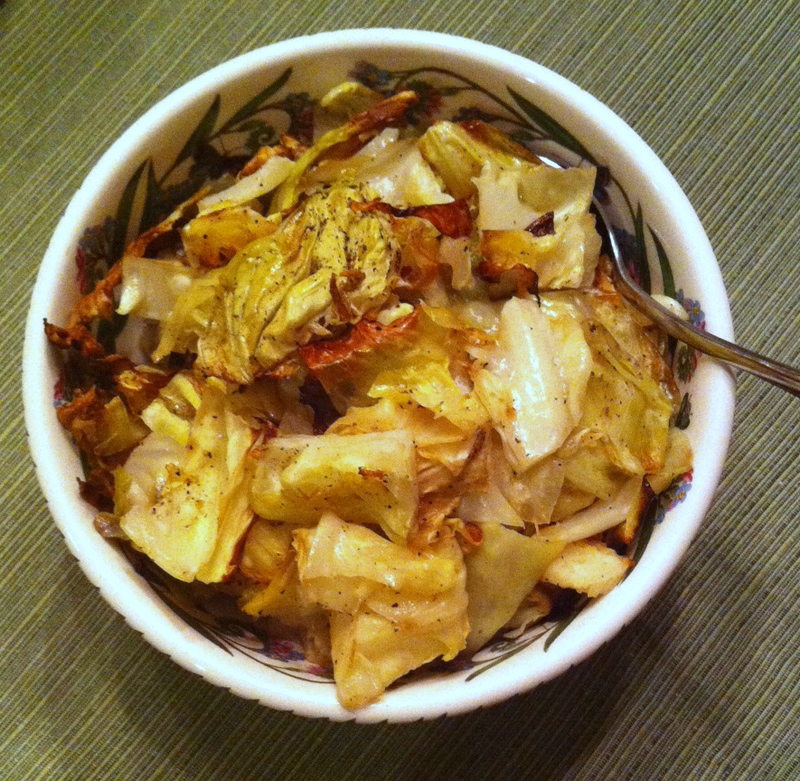 Remove the cabbage's core and chop cabbage into large pieces. Place cabbage pieces on a rimmed cookie sheet. Brush the cabbage with melted coconut oil. Top with sea salt and pepper. Bake at 350 degrees for 20-40 minutes depending on desired crispiness. Eat up!